The commercial relations of Santorini had always been strong. 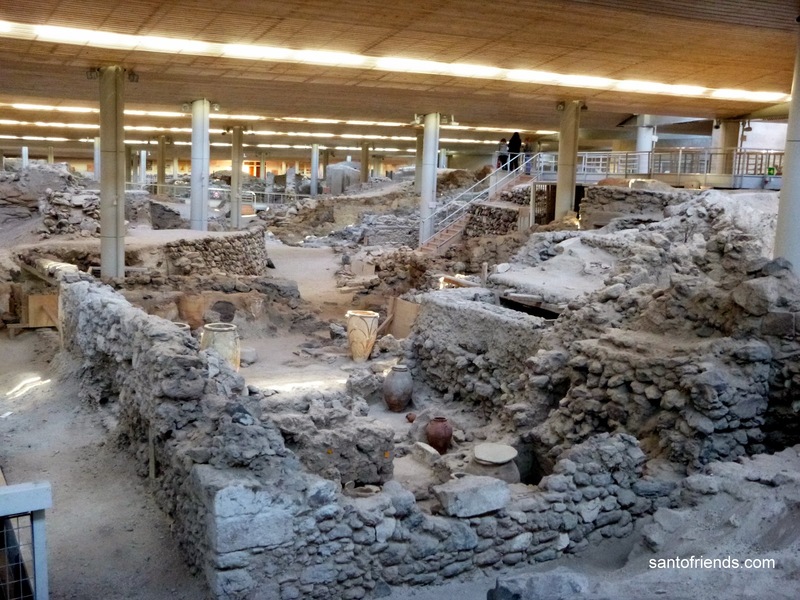 During the era that the ancient city of Akrotiri flourished, trade was reaching quite far: to the corresponding city of Lemnos, in North Aegean and Crete, on South Aegean. Sailors and merchants travelled with their ships as far as the world they knew then stretched and relationships with others civilizations were developed. On their return, the sailors brought back new ideas, products, and techniques which they applied to their own way of life, even to their architecture.